I first came to Prague five years ago. I remember liking it but not loving it. But a lot happens in five years. You live, you grow, you learn what you want and what you don’t. And I have to say, five years later, Prague is absolutely everything I want in a place to live. 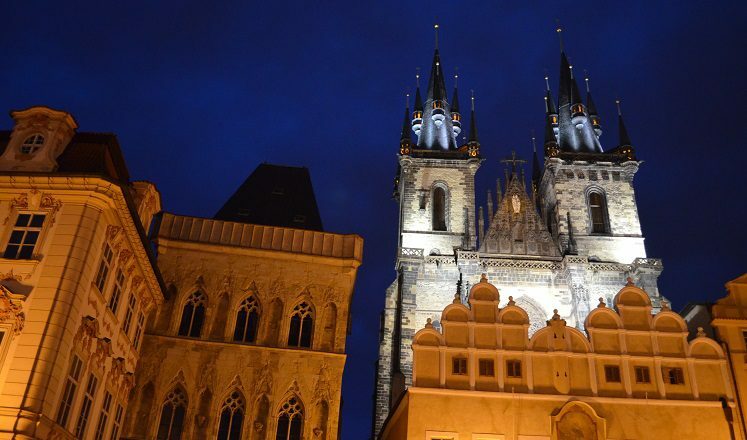 Prague is one of the most stunningly beautiful cities in the world. It’s trendy and interesting without losing that old world charm. It has everything I loved about Krakow but it’s bigger. It has a fantastic variety of public places and spaces to hang out and have a cup of coffee or enjoy the view. My second day here was Prague’s 13th annual Museum Night, when 80 of the city’s museums, galleries, and churches opened their doors for free until 1 am. And as awesome as it is as for a city to do that, what was even more remarkable was the public participation. 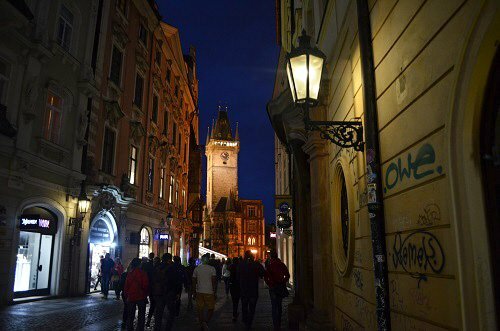 All night at the various museums and galleries I wandered into, I saw Prague’s people – young teenagers and old couples, families with children, lone college students – all of them out enjoying the photography, the paintings, and the sculptures. And those are my kind of people. 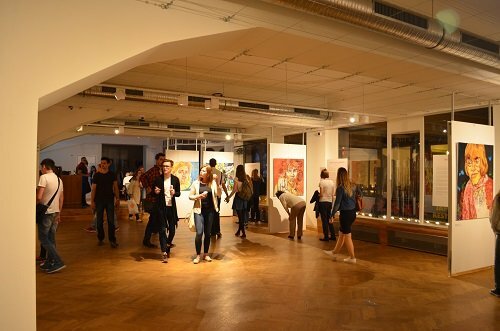 Gallery at Palác Lucerna during Museum Night. I was just raving the other day about how much there is to do in Milan, but Prague is not far behind with its cultural and social activities. 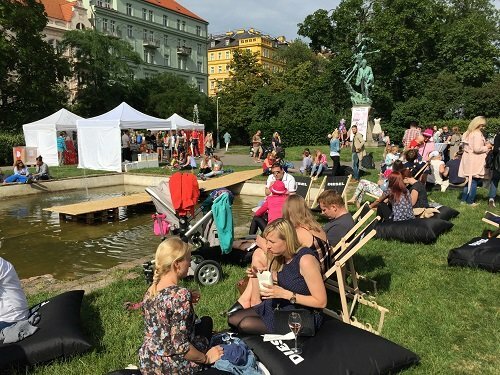 This weekend alone, Prague was celebrating all sorts of boozing with a Mini-Brewery Festival at Prague Castle and We Love Prosecco in the Vinohrady district. That was all the same day as Museum Night. There are dozens of great stage shows – operas, ballets, plays – and concerts throughout the year. I’ve already marked a few of them on my calendar. 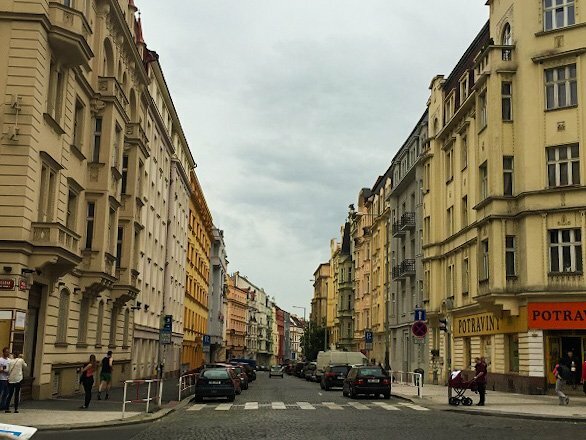 Prague is fairly easy to navigate and if you’re in the mood for a really long walk, you can actually get around on foot without a problem. But the metro, bus, and tram system is so efficient that after you’ve walked 45 minutes or so, you realize it’s better to just jump on one of the passing trams. The entire public transportation system is on the honor code. You don’t have to have a ticket to get on, but you’re supposed to. And there are strict inspectors on the train that will catch and fine you if you don’t. It happened to me the last time I visited. This time though, I got a monthly pass for a whopping $27.89. So I can jump on any bus, train, or tram without even having to worry about buying a ticket. Which is nice, because I have no earthly idea how to buy a ticket. I have to admit, I had a bit of an advantage coming to Prague. By the time I arrived, I already had a fully furnished apartment waiting for me thanks to a very good friend and very good timing. The apartment, including all utilities and a disgustingly fast fiber internet, will run me a little over $600 a month, which pretty much halves the housing costs I would have back home. My monthly transportation costs have been reduced to the price of a nice meal. And when it comes to meals, well… I would have to work pretty hard to spend a month’s worth of transportation on food. While on the subject of food, Prague is extremely diverse in its culinary offerings. From burgers to sushi to Vietnamese to tacos, I can get just about anything I might be craving by taking a short walk downstairs. My biggest food challenge is figuring out what the hell I’m buying at the grocery store. 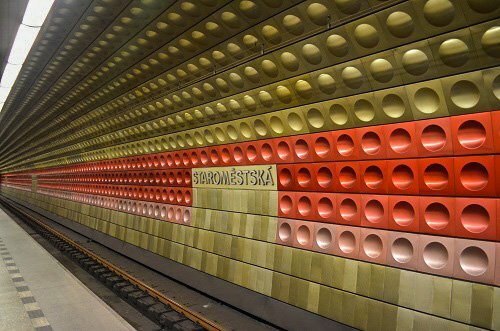 But my favorite thing about Prague is that given its geographical location, if I want some authentic German sausage or some Polish pierogi, I can take a train to Munich or Krakow for 15 Euro. Who says you can’t have it all? Prague loves Prosecco and I love Prague. Not only could I live here, if I don’t manage to get a job in the next two months, the EU will have to have to deport me kicking and screaming for me to leave Prague. I wish you good luck with your new life, I’m sure that you will have a blast! Thanks! If you’re ever back in the city and you want a friendly gnome guide, look me up!